The Alaska Marine Highway has been designated National Scenic Byway and an All American Road, being the only marine route with this designation. It serves many purposes including tourism, trade and travel. One man told us of his adventure getting his vehicle to Alaska on the Marine Highway when he moved here from the “lower 48”. Many ports of call rely on it to bring in their goods, and tourists enjoy its scenic route with many itineraries to choose from. Bellingham, Washington is the southernmost port and the Marine Highway travels over 3,500 miles to Dutch Harbor with stops in British Columbia, throughout the Inside Passage, across the Gulf of Alaska to Prince William Sound and along the Aleutian Chain. If you were to hold your right hand up, fingers together, thumb hanging down; you would see the basic image of the State of Alaska. The Marine Highway system basically covers the area running up your wrist, or the Inside Passage Region, around the curve, which represents Prince William Sound area and out to the end of your thumb, where Kodiak and Aleutian Island Chain is. So if flying into Kodiak isn’t your style, try traveling by water. There are many options for travel on the Marine Highway. Moving vehicles require an appointment and vessels are loaded based on departure port as well as destination. Want to spend a few days on board being a tourist? You can reserve a cabin, inside or outside, with or without “facilities”. While it is not required to make a reservation for day trips or walk-ons, it is recommended especially in the busier summer months. During the winter there are specials that run like, driver of a moving vehicle rides free, or save 30% by booking a round trip. Not sure if you like the idea? Some of the ports of call include Sitka, Juneau, Ketchikan, and Angoon on Admiralty Island in the Southeast. How about Valdez? It is a very beautiful place to visit, now that it has overcome some of the Exxon oil spill. Homer, Yakutat (a world renowned place for awesome surfing dude! ), Kodiak, and Dutch Harbor name only a few of the many places you can visit. 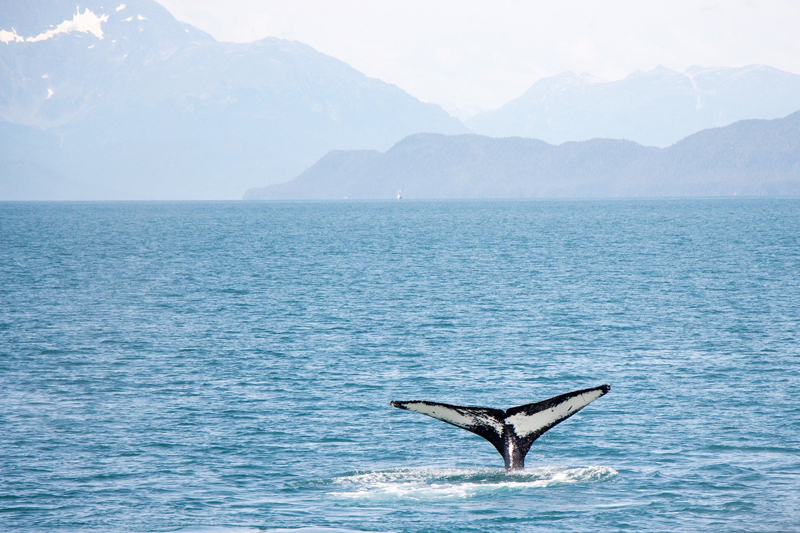 Day trips to Glacier Bay, Kenai Fiords and Prince William Sound offer great opportunities for wildlife, glacier and mountain viewing. The Alaska Marine Highway system is a perfect way to explore and enjoy the scenery of the coastline of Alaska.